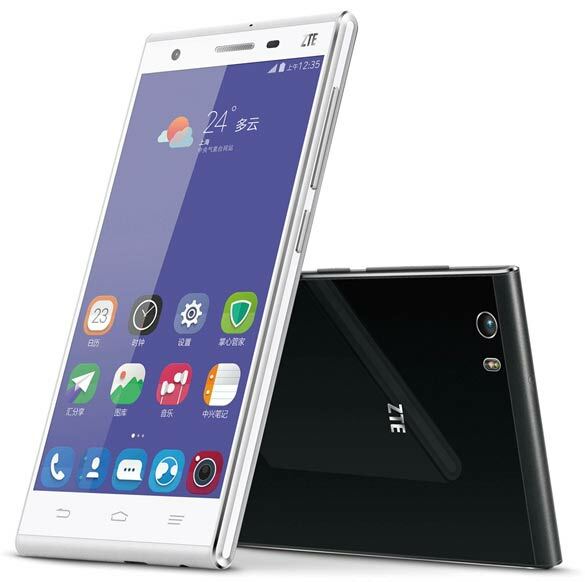 ZTE has announced there latest flagship smartphone, the ZTE STAR 2. The new Star-2 is successor to the Star 1. It is accomplished with 5-inch Full HD 1920 x 1080p display and runs on Android 4.4.2 KitKat with company’s own customized MiFavour 3.0 UI. It drwas the strength from 2.3GHz quad core Snapdragon 801 processor coupled with Adreno 330 GPU. It would be launched in India by next year. The ZTE Star 2 faetures 13-megapixel primary shooter and 5MP front facer with f2.2 aperture and 88 degree wide angle lens. It is Single SIM smartphone and takes micro SIM card. It is just 6.9mm thick and houses 2300mAh battery. The phone is boosted with 2Gigs of RAM and 16 Gigs of internal storage plus further expandability by micro SD card. The Star2 would compete with HTC one M8, Oneplus One, Xiaomi Mi-4, Xiaomi mi-3 and Samsung Galaxy S5 Active. The ZTE Star 2 is available in Black and White colors. It is priced at 2499 Chinese Yuan in China ( US $400 in the USA, RS 26000 in India).